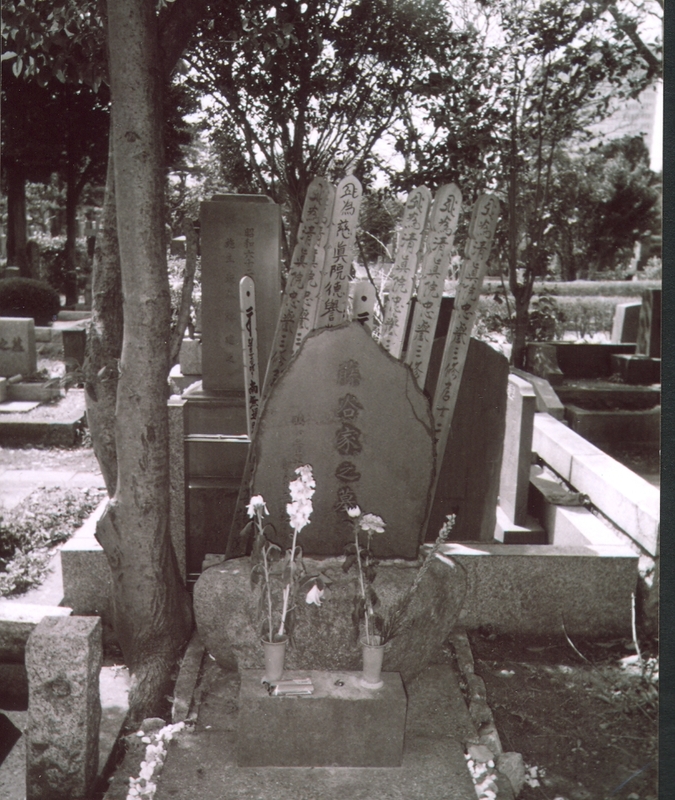 These photographs are the result of my first serious, intentional attempt to document cemeteries from around the world. I visited Ibaraki prefecture for the first time in the summer of 2002, just days before by 15th birthday. I had been interested in tombstones for about five years, and I had already photographed several cemeteries in Texas by that time. 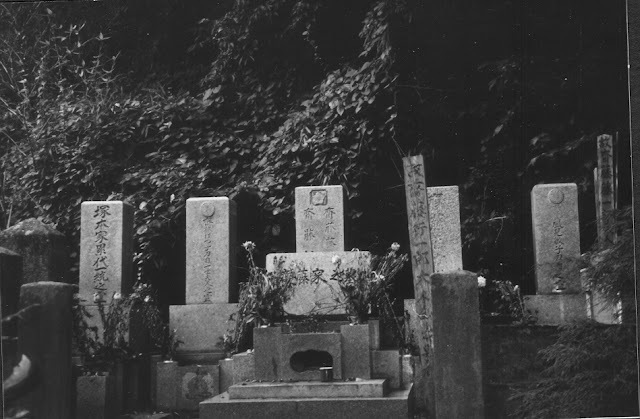 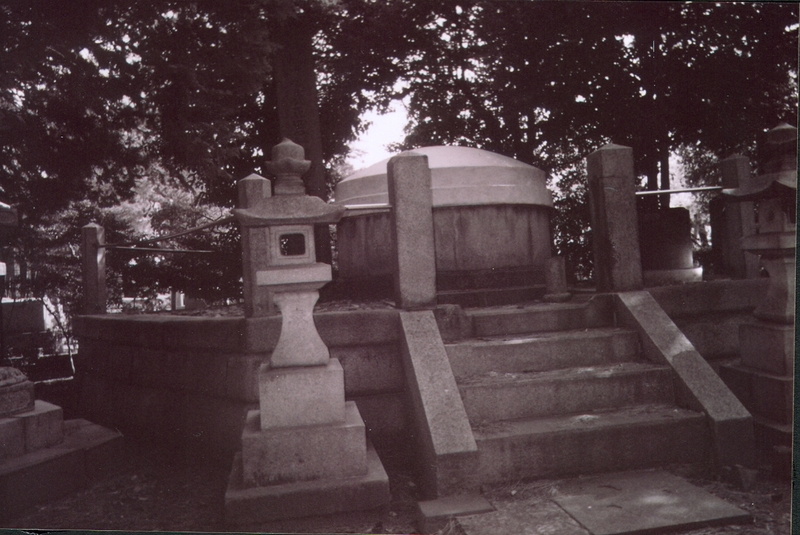 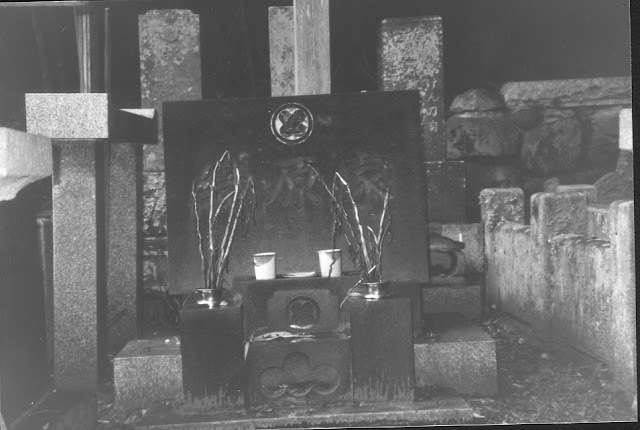 Ibaraki was my first foreign graveyard experience. 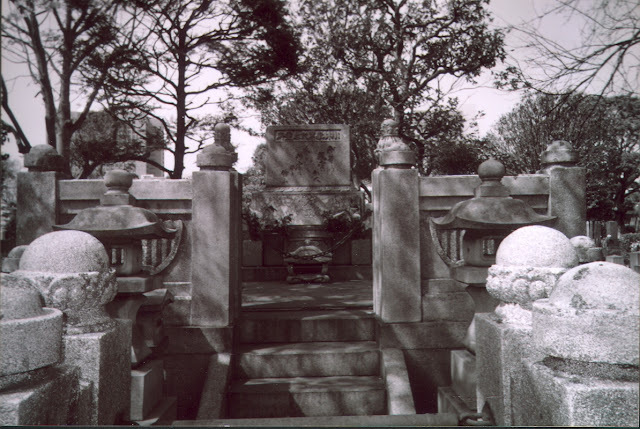 All images were taken with a Kodak Black & White disposable camera. 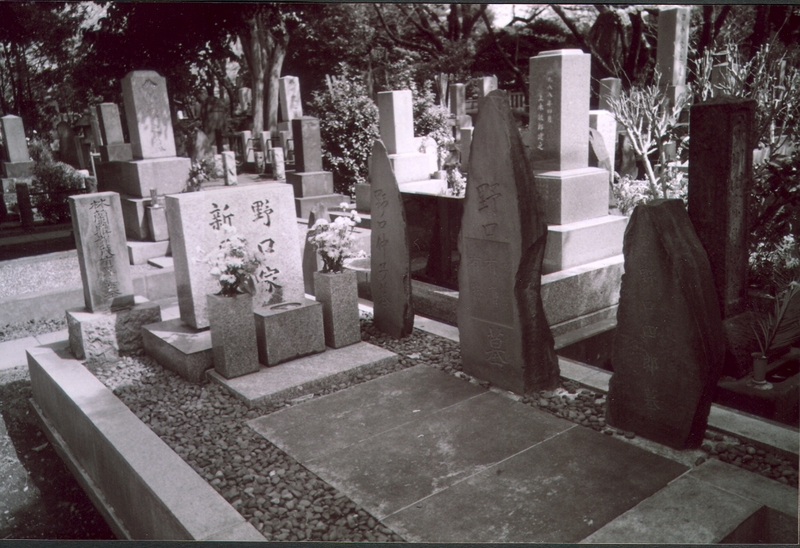 This was an era before digital cameras were widespread and affordable, so my entire experience in Japan was captured with four or five disposable cameras. 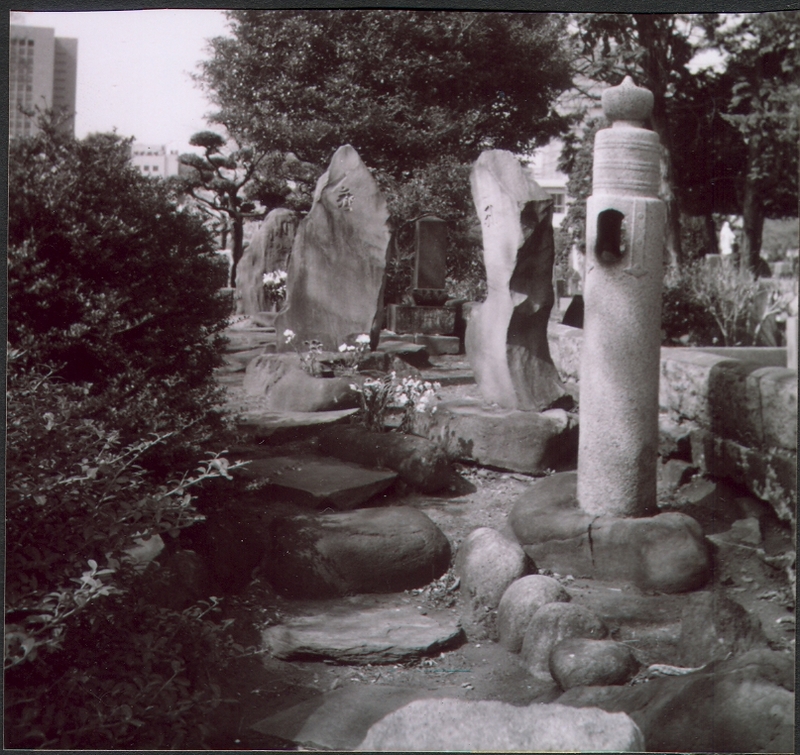 After returning to the US, I had these photographs developed, and pasted them into a blank journal. The layout is reminiscent of a classical Japanese garden. 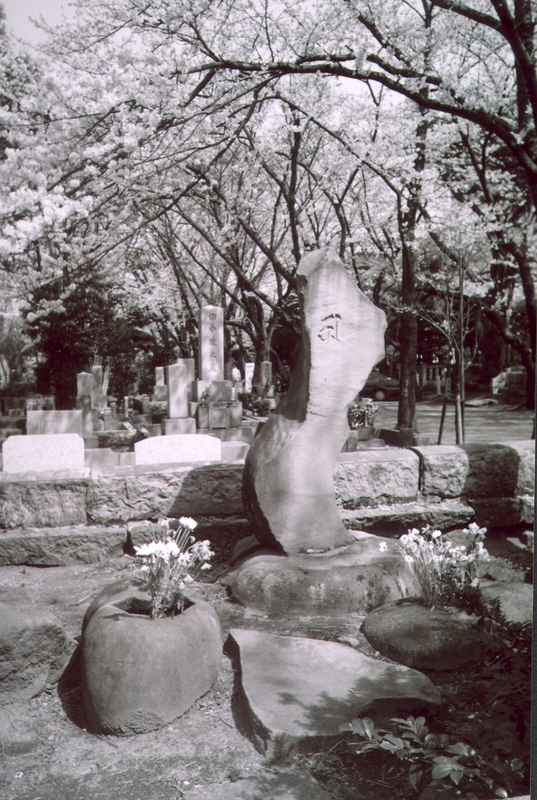 I've always been curious about this unusually shaped grave marker. 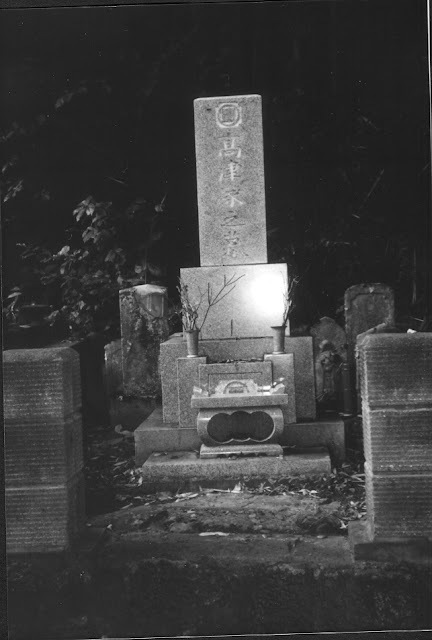 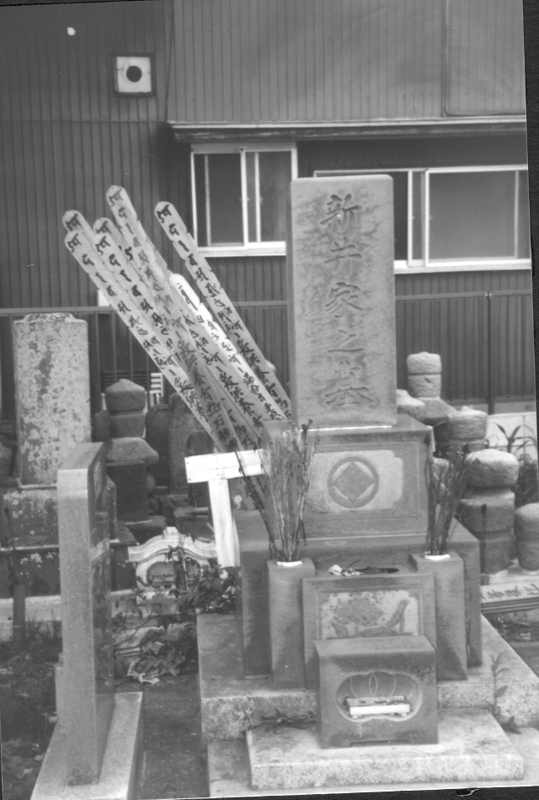 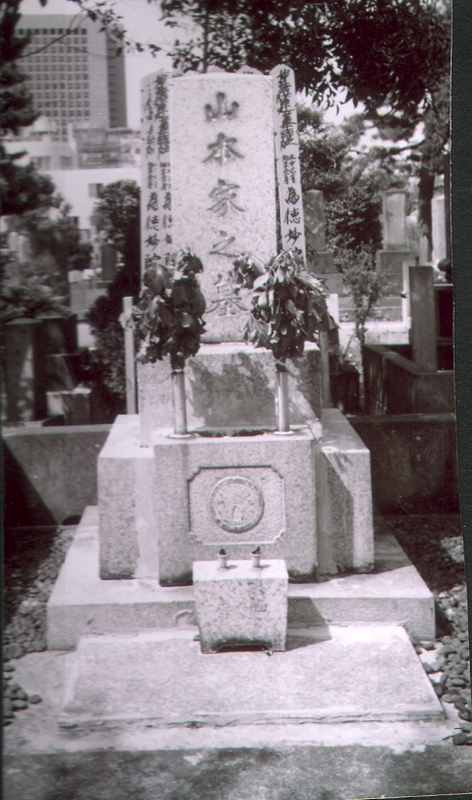 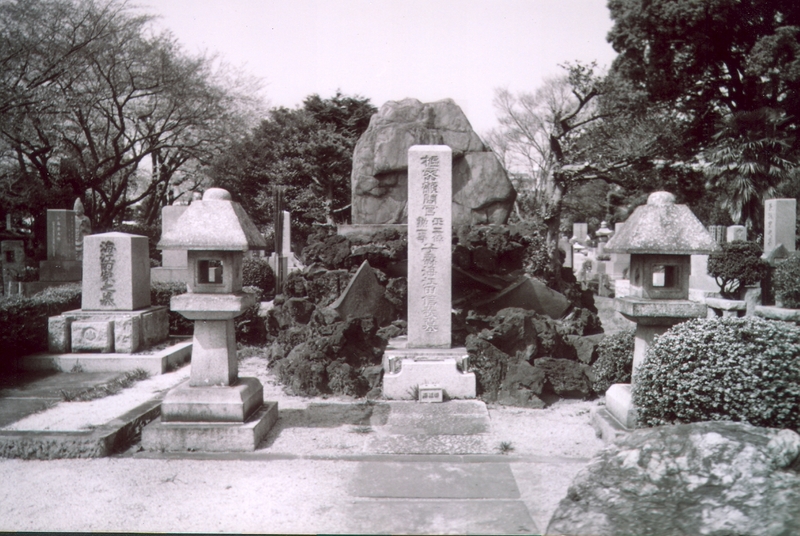 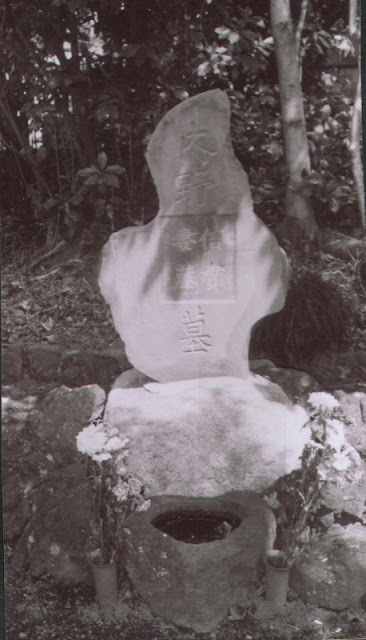 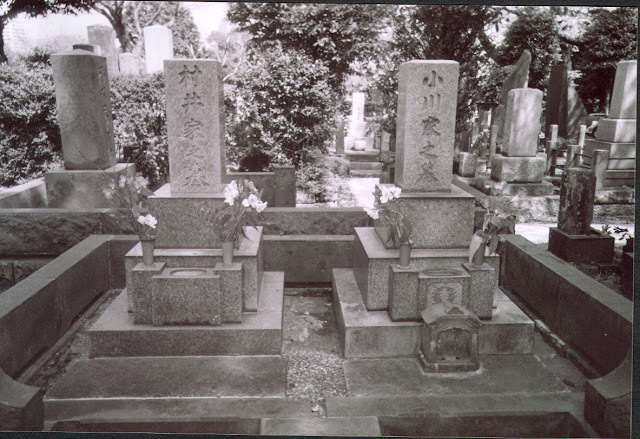 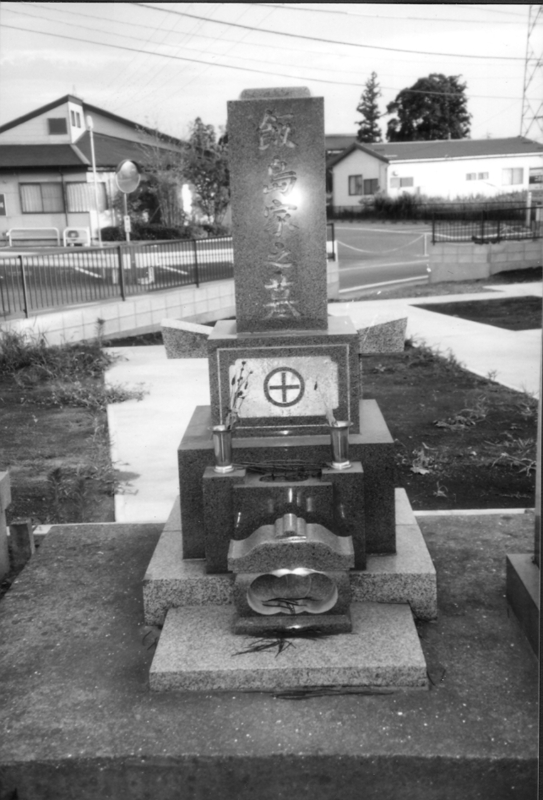 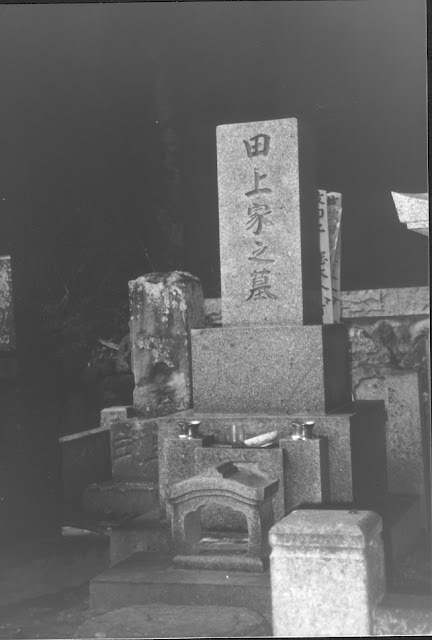 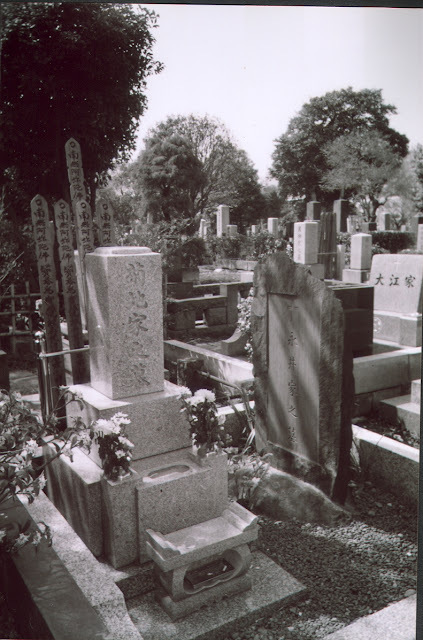 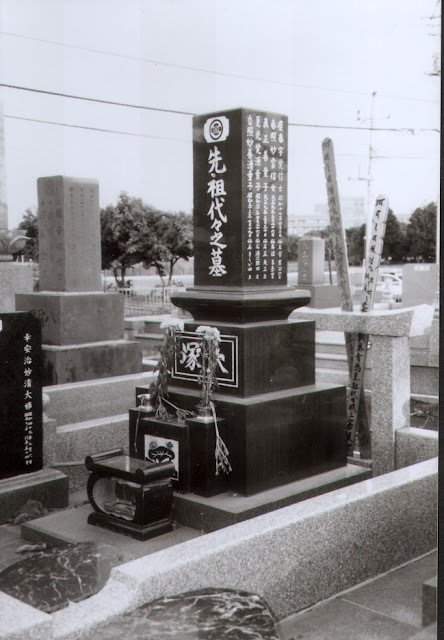 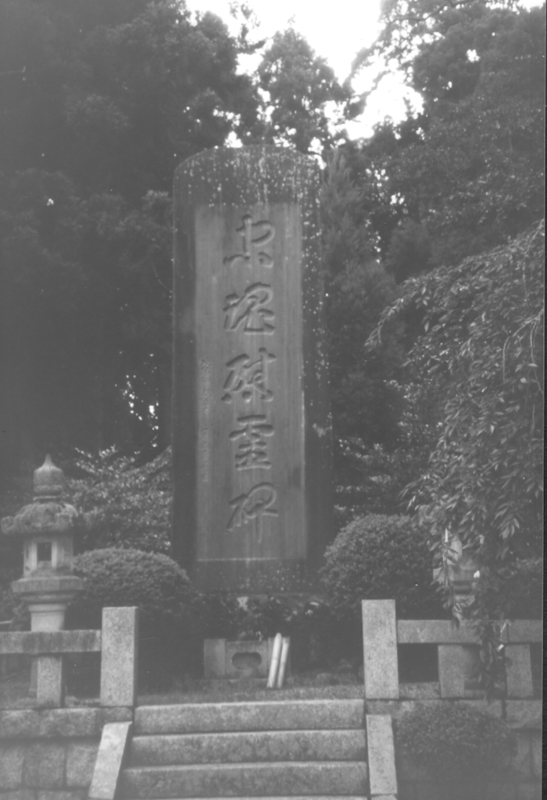 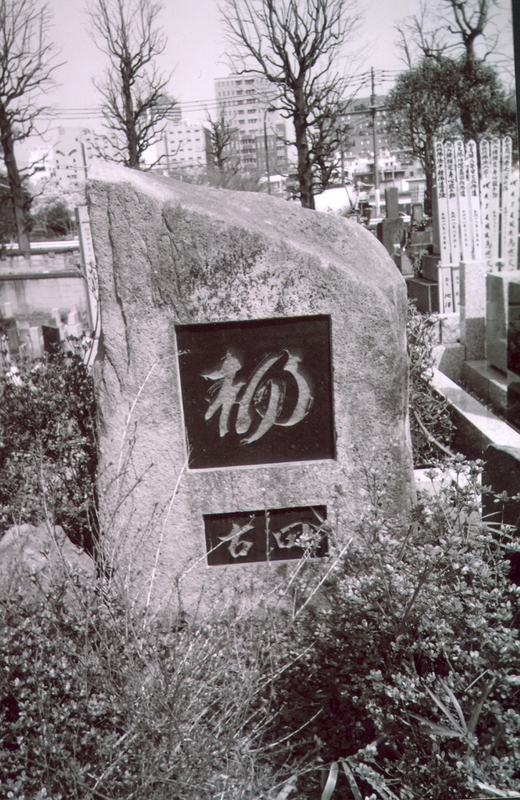 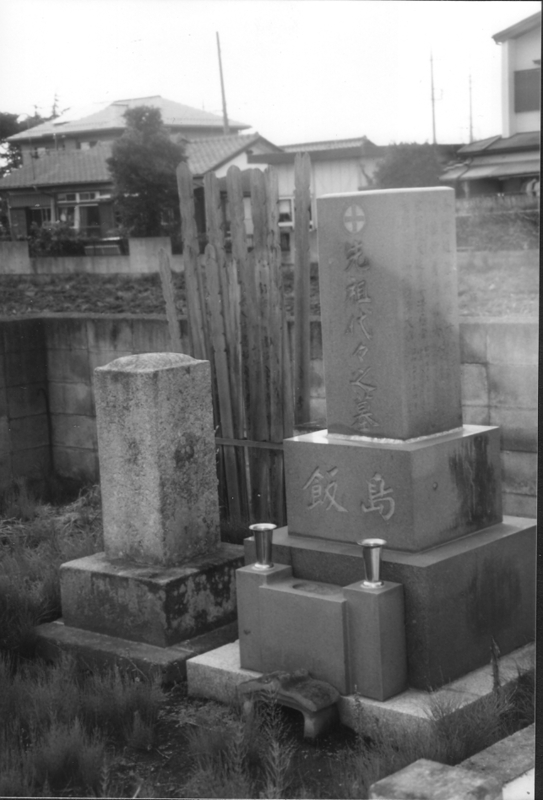 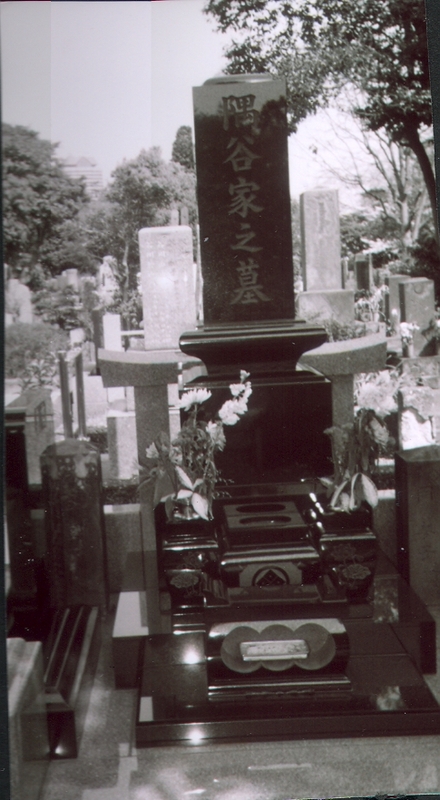 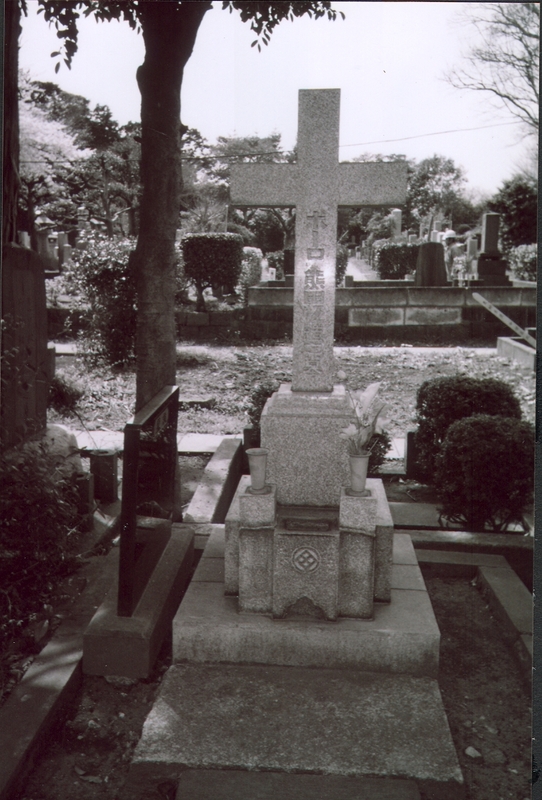 The sighting of a Christan cross in a Japanese cemetery is very rare. 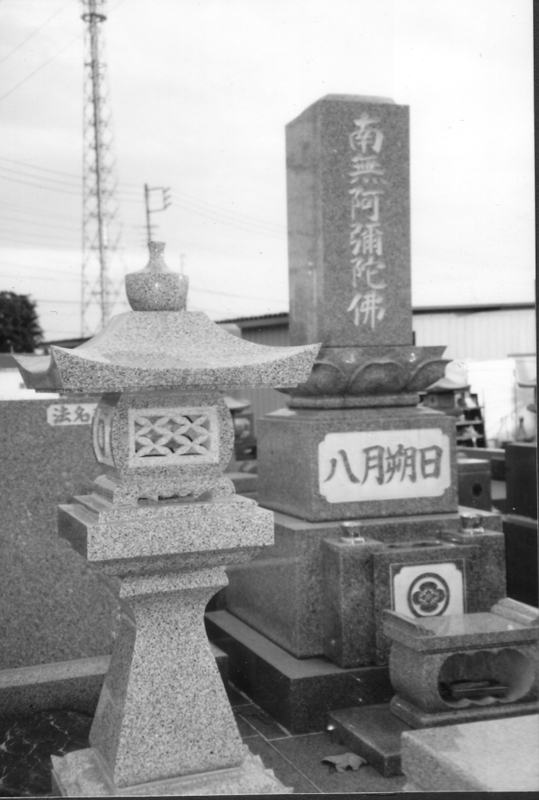 A monument to those who died in war without proper burial.